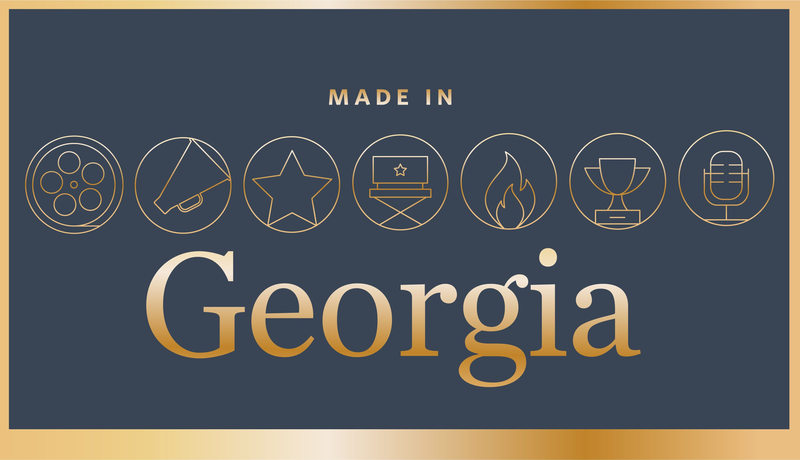 For the film and TV industry in Georgia, business is booming. Georgia is now the busiest on-location production center in the nation, and it’s helping produce some of Hollywood’s biggest hits, from last year’s blockbusters Black Panther and Avengers: Infinity War to the cultural TV touchstones Stranger Things and Atlanta. In fiscal year 2018, the state hosted 455 projects with an estimated economic impact of $9.5 billion, compared to about $241 million in 2007. The state’s industry employs over 92,000 workers with an average salary of $84,000. And UGA alumni are among the leading drivers of the thriving industry in Georgia. These Bulldogs have found their showbiz niche in Georgia and are paving the way for future UGA storytellers. When Lee Thomas ABJ ’87, deputy commissioner at the state’s Film, Music & Digital Entertainment Office, tells the history of film and TV in Georgia, the genesis always begins with Deliverance, the 1972 classic that prompted Gov. Jimmy Carter and the state to invest in bringing more films to Georgia. But a film that wasn’t shot in Georgia may be most responsible for the state’s current show business renaissance. Thomas says everything changed with the 2004 biopic Ray, about Georgia native Ray Charles. 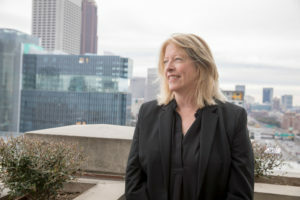 The state’s film office was courting producers to shoot in Georgia. They thought they had a good case and good locations. The studio even set up a production office in Atlanta. But then the moviemakers reversed course, lured by newly minted tax incentives offered by the state of Louisiana. Georgia lost the movie, essentially because studios were lured by the bottom line. Canada started offering generous incentives for film production, and some U.S. states, including Louisiana, quickly followed suit. Before incentives, Georgia’s scenery was the biggest draw to film here—think Deliverance, Smokey and the Bandit, Glory, and Midnight in the Garden of Good and Evil. Born and raised in Georgia, Thomas got her start as a location scout in the state. The job allowed her to truly see every corner and feature of Georgia. But things had to change for Georgia to stay competitive. In 2008, the Georgia General Assembly passed a new tax incentive package to lure studios back. And it worked. The industry has been growing since 2009. In fact, it provided steady work and economic development in the state even during the Great Recession. 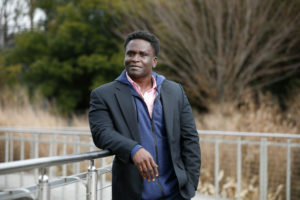 Thomas has been advocating for the kind of steps that will continue to cultivate the thriving industry. In 2016, her office worked with Gov. Nathan Deal to establish the Georgia Film Academy, which helps train industry set-builders, painters, and accountants. And as the state is becoming more established, the job opportunities are growing for casting directors, costume designers, studios managers, and more. Looking ahead, Thomas sees a role for UGA to train students who can make a creative impact on the industry. 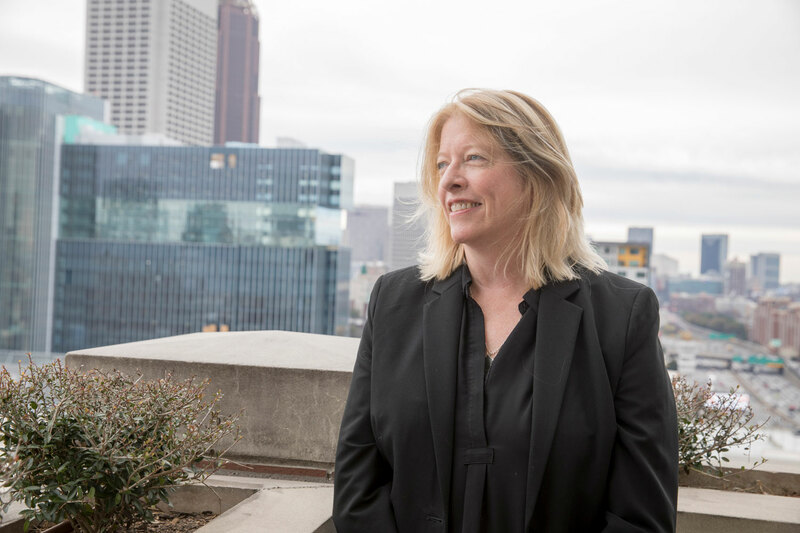 She says the state needs a visual effects house and thinks there is going to be a need for writing rooms, too—something UGA’s screenwriting MFA program could help stock. It makes for exciting times. Chase Paris AB ’06 doesn’t like being in front of the camera. He’s just really good at spotting the actors who would be. So, when Paris and his business partner Tara Feldstein Bennett won an Emmy in 2017 for the breakout Netflix show Stranger Things (they had also been nominated for Atlanta), he was out of his element, weaving through the press lines as photographers snapped his picture. A post-win interview made it to YouTube, but even then, Paris wouldn’t watch his shining moment. As a location casting director with Feldstein|Paris Casting, Paris helps identify local actors for small roles in some of the big movies and shows shot in Georgia. Paris isn’t the one casting Winona Ryder in Stranger Things; that’s done by Hollywood casting. But that doesn’t mean his work doesn’t have an impact. Paris and Bennett were the ones who discovered Shannon Purser, who played Stranger Things’ breakout character, Barb. Paris got his start in the business as an agent, working for actors instead of for the studios. He was considering making a jump to L.A., when his friend and colleague Bennett approached him about going into the casting business together. In the beginning, he recalls, producers wouldn’t answer their calls or emails. But they kept at it. Their business was just getting up and running when the industry in Georgia really took off. Now, Paris works on some of the biggest productions coming through Georgia. 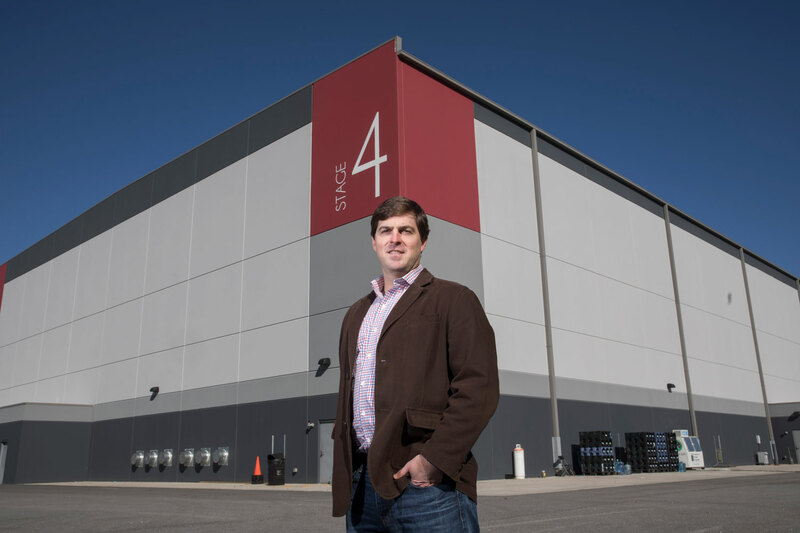 That development is not just good for his business; it’s a boost for the state’s acting community. For Viviana Chavez AB ’10, ABJ ’10, working in film and TV isn’t just a profession. The born-and-raised Atlantan, whose career in the Georgia entertainment world began straight out of college, finds that her role in the industry hits much closer to home. 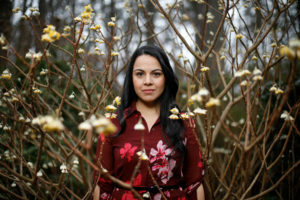 With a slew of titles like actress, producer, and casting director attached to her name, Chavez is already well-seasoned when it comes to film and television. And though her love of acting is what got her started, her love for her city and her faith in the growing industry has transformed her into an entertainment renaissance woman. Chavez, a dual-theatre and telecommunications major, has used her experience to garner over 40 credits across all levels of production, primarily on-screen roles in productions like The Walking Dead, Baby Driver, Nightcrawler, and Ozark. But her main hope for her career is not just to gain fame as an actor; it’s to nourish and grow an industry that can sustain many more people like her. On top of her on-screen roles, Chavez has set her focus off-screen in the hopes of becoming a resource for other industry members. To that end, she created The Media Room, a biweekly workshop where actors and directors can come together to collaborate and gain practical experience working with other industry professionals. 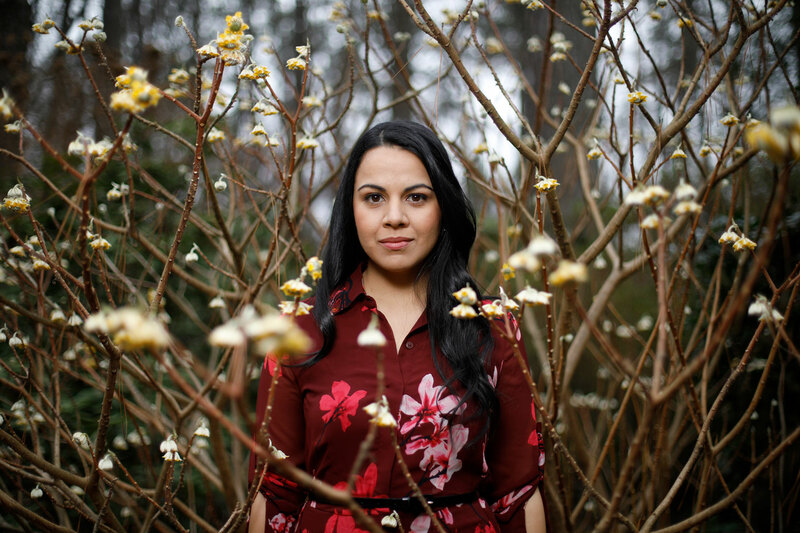 She’s also focusing on collaborative projects like il-legally Latinos, a showcase of one-act plays written, directed, and performed by up-and-coming artists within the Atlanta Latino community. If you’ve watched the Walking Dead, you’ve seen Andy Rusk AB ’03. You just might not know it for all the makeup and, at times, flames covering his face and body. Rusk has been maimed or killed (or whatever it’s called when you knock off a zombie) in a few dozen episodes as a stunt performer. His most memorable stunt is an episode when the undead start falling through the ceiling of a convenience store and attacking the show’s heroes. “I’m the zombie who got tangled up on a busted beam and hung by my entrails,” Rusk says. After Rusk studied acting in the Franklin College of Arts and Sciences’ theatre and film studies department, he was getting spotty work in films, both big and small, working in props, armory, carpentry, and set construction. In the meantime, he kept doing what he calls “survival” jobs to pay the bills, including working as a high-rise window cleaner. He also served as a volunteer firefighter. And then he saw an opportunity. He realized there was a dearth of stunt performers in Georgia and a growing need for them. So, he used his fire safety and rope-rigging skills—along with his high risk tolerance—to reinvent himself. He built a tower for falling and learned how to concoct homemade flame-resistant gel (used to protect performers during fire stunts). Then he practiced stunt falls and setting himself on fire with a group of friends. “We sort of trained ourselves up,” he says. 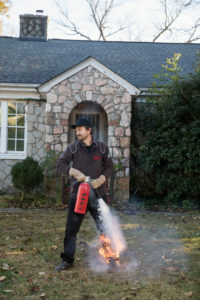 He’s been at work for nearly a decade with it—always risking a blown-out knee or a blow to the head. The world of television and film was miles away from Olubajo Sonubi’s AB ’06 plans when he first enrolled at UGA. An aspiring lawyer from the age of 9, Sonubi found his way into the acting world by coincidence. While shaping his career in law as an undergrad, he enrolled in drama courses to enhance his courtroom presence. A new dream began to take shape after that, and after graduation, he traded his law school plans for an MFA in acting from Southern Methodist University. “I realized that I liked the idea of playing a lawyer more than I liked the idea of being one,” Sonubi says. Soon, he moved back to Atlanta and landed an agent. An unpaid internship led a gig teaching acting workshops with local casting director and mentor Marty Cherrix. That connection led to his first big break: working on the massively popular CW show The Vampire Diaries, which was filmed in Georgia. Sonubi worked his way up from assistant casting director to leading local casting for the show. Cobra Kai and Dynasty. For Sonubi, who started his own agency, OAS Casting, his work is all about problem-solving. Each script put into the hands of a casting director is a problem, he says, and finding the perfect person for each role is an immensely satisfying solution. But further than that, he views his work as a discipline in storytelling. Casting, he says, is just the beginning. Looking ahead, Sonubi hopes to be the one creating the stories, inspired by those underrepresented in the world of entertainment. Where Georgia shoppers once bought khakis and ate food-court Chinese, now vicious jaguars can chase a motorcycle-mounted Dwayne “The Rock” Johnson through the jungle. That’s the story of Atlanta Metro Studios, a soundstage hosting film and TV shows ranging from Jumanji: Welcome to the Jungle and 24: Legacy to Pitch Perfect 3. 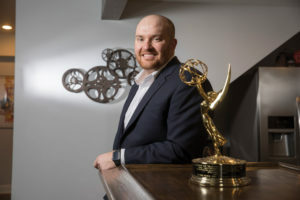 The studio’s owner is John Rooker BBA ’02, who joined the family real estate business but found himself a part of Georgia’s thriving showbusiness. Rooker, as CEO of the Rooker industrial real estate firm, had acquired the old Union City Shannon Mall, which closed in 2010. “We had these 20 acres left over from the mall redevelopment, and we weren’t sure what we were going to do with it,” he recalls. That’s when he was approached by a couple of film industry veterans about turning the mall into a purpose-built film and television campus. Rooker had been observing the expansion of the industry. Even during the economic downturn, from 2009-2012, production companies had come asking to transform warehouse spaces into movie sets. And until Pinewood Studios opened in Fayetteville, Georgia, in 2014, there were no studios in the area. And so Atlanta Metro Studios was born. Almost four years later, the studio is booked for the foreseeable future and is a leading studio operator along with Pinewood and Tyler Perry Studios. Beyond just offering space for shooting, Atlanta Metro Studios acts as a concierge service for productions—aiding in booking hotels, transportation, food, heavy equipment, and a variety of other vendors for the production. In that role, Rooker sees that the industry provides steady work for businesses and families, such as the mom-and-pop dry cleaner business in Union City, that is getting year-round business from productions for costumes.